SummerFest is right around the corner! Do you head out to the Big Gig every summer? What’s your favorite part of the festival – the food? the entertainment? the concerts? All three mixed together? SummerFest has just released their admission promotions so you can be sure to get in for FREE or a reduced rate. The first 2,500 patrons who donate 3 nutritious non-perishable food items for kids will receive 1 FREE admission ticket, valid for the day and time of the promotion only. Suggested items include: canned chicken or tuna, fruits canned in 100% juice and low sodium vegetables. All donations benefit Hunger Task Force. Presented by Kohl’s. 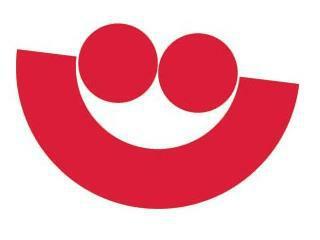 Find all the daily Summerfest promotions here. If you are headed out on a date night or guys/girls night, our favorite is to see a favorite band at the American Family Insurance Ampitheater. You can find the entire 2018 concert line-up here. Plan and prepare your visit ahead of time. Shuttle in. There is parking available on and near the grounds, but we’ve been stuck in a traffic jam when the festival closes where it has taken us an hour to move a mile. Beat the traffic and shuttle in from the many area park and rides. Since we are coming from Lake Country, we like to park at the Delafield/Naga-waukee Ice Arena park and ride. The bus also picks up from the Meadowbrook Park-Ride lot (I-94 and County Highway G), the Goerke’s Corners Park-Ride lot (I-94 and Barker Road), and Eble Park Ice Arena (19400 W. Bluemound Rd.). Round trip tickets are $11 for adults and $6 for children purchased at the point of origin. Call (262) 542-8861 for more information. If riding the bus in isn’t your style, you can Uber as well to avoid driving in. The main Uber Zone is located right outside of the Mid Gate at E. Chicago St. & N. Jackson St.
New Uber users can get a free ride (up to $15) using code SF2018. Offer valid through 7/8/18. BACKPACKS or bags larger than 9x10x12 are not allowed and all bags will be searched. If you are heading down with other adults, just bring the necessities and leave your purse/bag at home. If you are heading down with family and need a diaper bag, again sort through it and only bring what is absolutely necessary. Also measure to ensure it is smaller than 9*10*12. What are your tips for enjoying the Big Gig? Find more Summer Fun in our 77 Things do Do this Summer Guide.